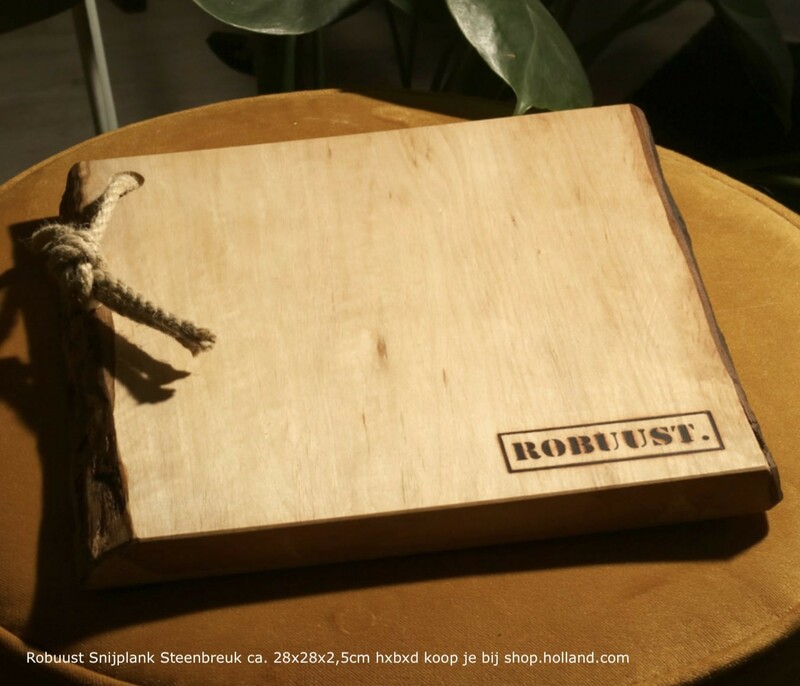 The Robuust chopping board is made of Dutch wood with a choice of 5 different types of wood. 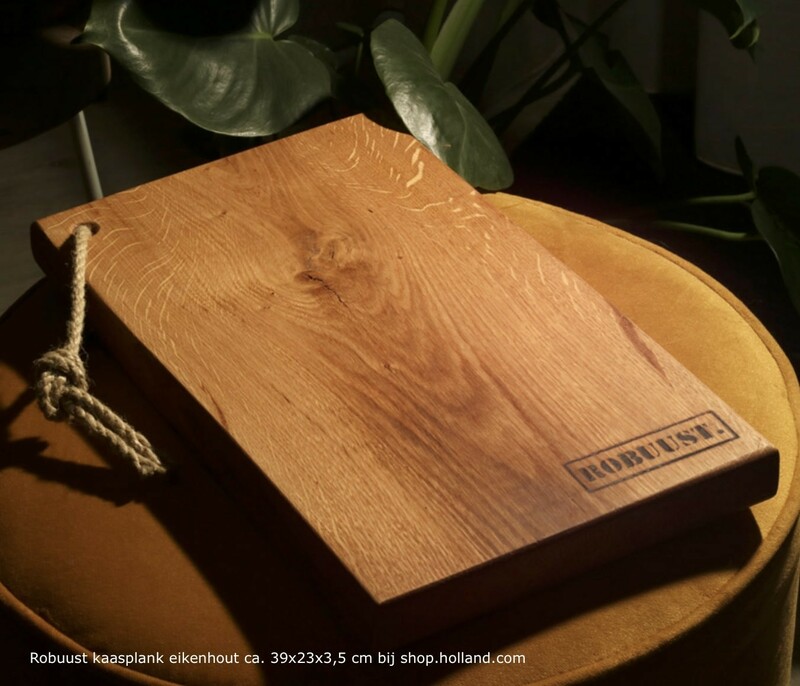 A sturdy cutting board in which you still see the original tree. 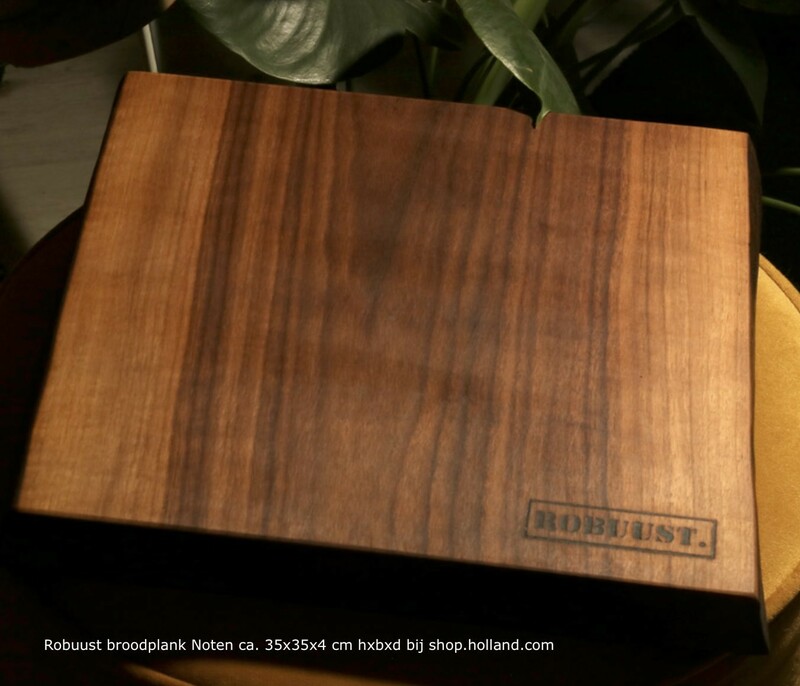 With the Robust label branded in the wood and rubber caps at the bottom. 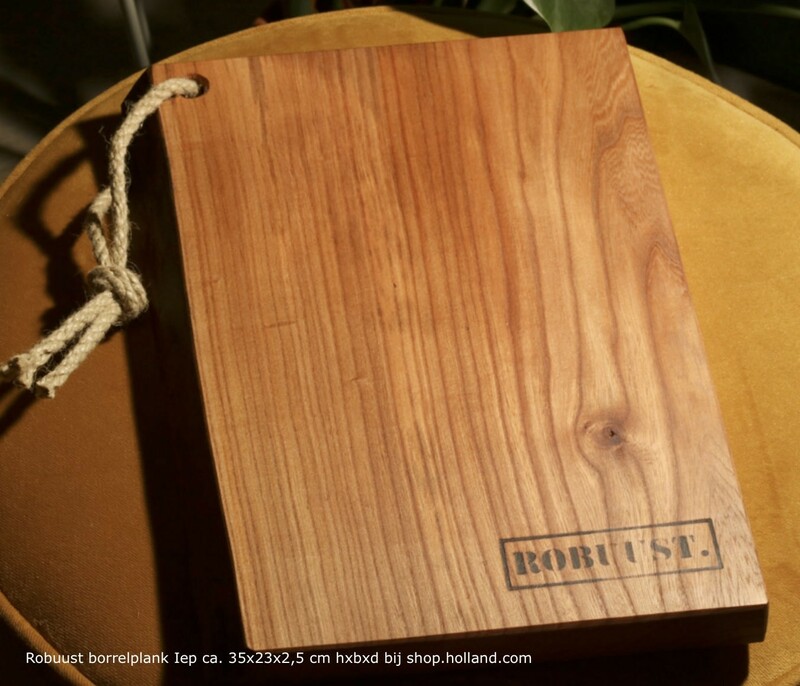 Since the available logs from forest maintenance by Dutch Natuurmonumenten vary in size, the measures of the Robuust chopping boards also vary somewhat with a length between 30 and 40 cm and a width of 25 to 35 cm. 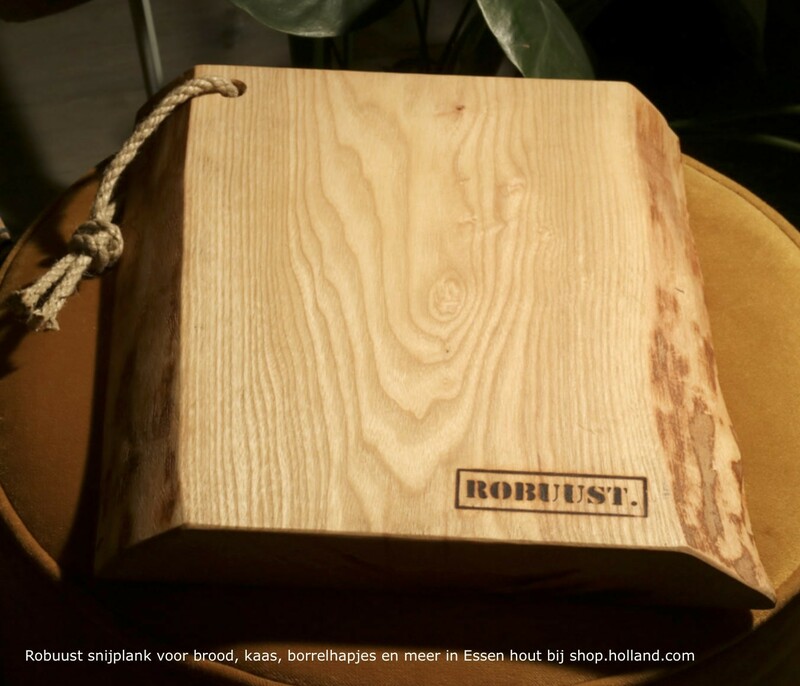 The Robuust cutting board is available in 5 different types of wood: the cutting board is made of oak, ash, hornbeam, elm or walnut. 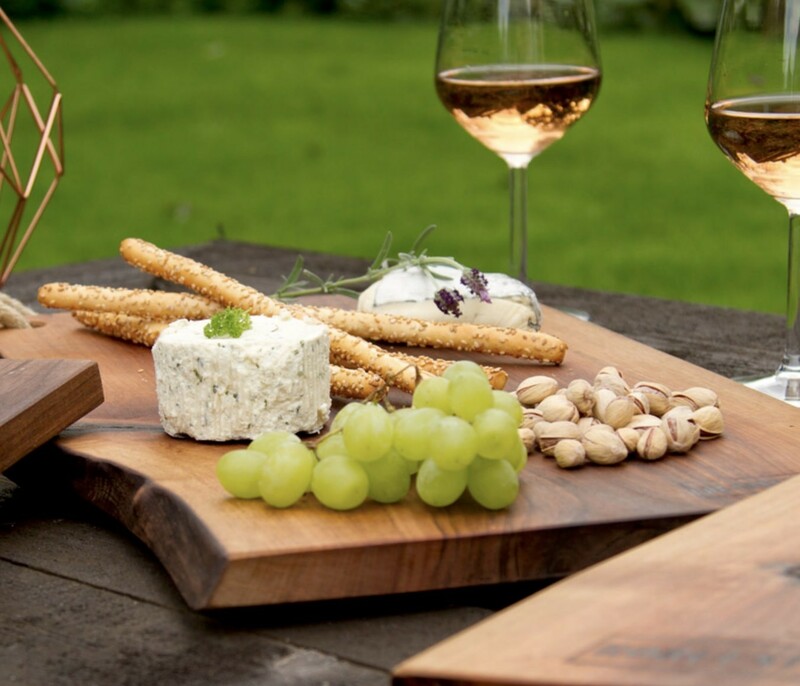 The wood species differ in price, the oak is lowest in price, nuts the most precious.